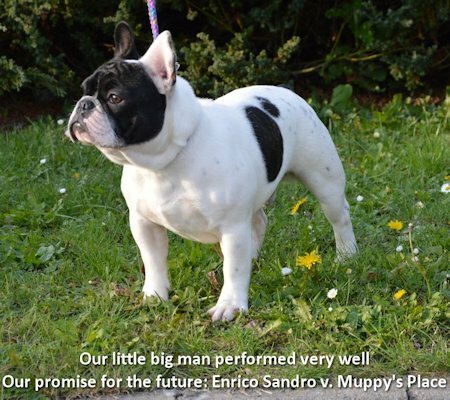 Sandro Mylo v. Muppy's Place x Ch. Beau Mystique's Ying Yang a.k.a. 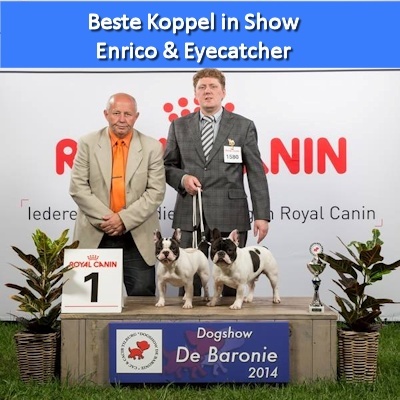 "Mooike"
Enrico research has successfully completed the HBC testing and received Veterinarian's certificate from the HBC. Overall they were very satisfied regarding Enrico physical condition. 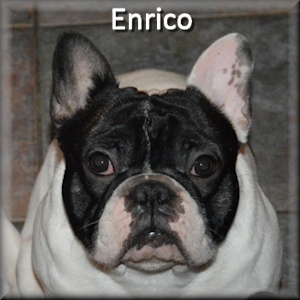 Enrico has a golden character. He is very self-conscious, but also very relaxed. He behaves exemplary among our 12 ladies, but he has also proven to be a real man. 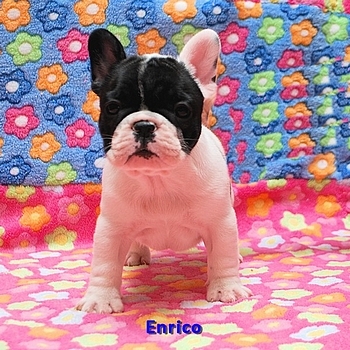 On 23-09-2014, the first litter was born with Enrico as father. 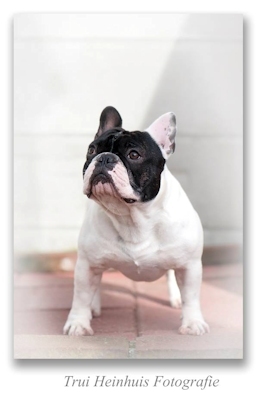 A litter of two wonderful boys from Bella Boo v. Muppy's Place called Falco and Figaro. 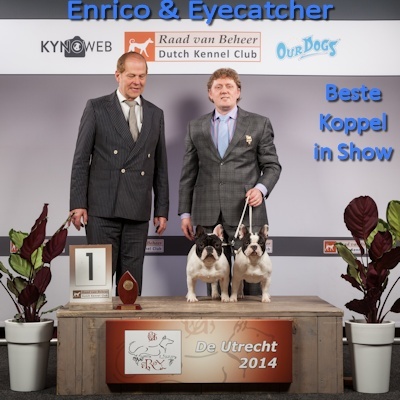 On the dog shows, he has achieved outstanding results, with the two Best In Show Couple winnings (along with sister Eyecatcher) as a highlight. 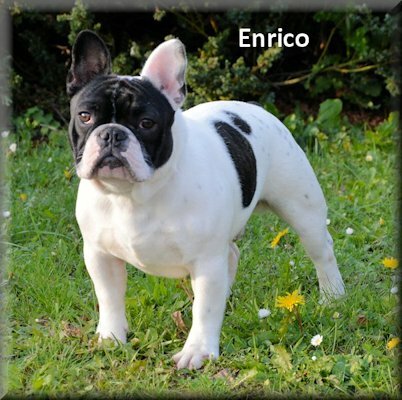 In our view, Enrico is a great French Bulldog with very good characteristics, but also with a great health and physical condition which we consider to be very valuable for the future. 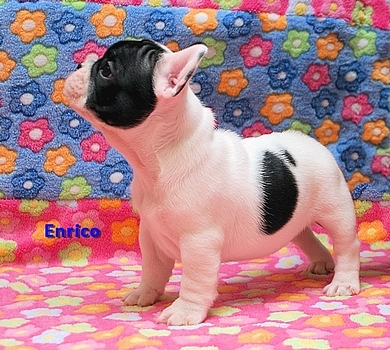 We are in love with Enrico, he is beautiful, funny and very lovely. He is really special. We are looking forward to enter the competition ourselves, with other males for the first time since we started.